Not being a strong person, or a "man" or a "strong woman"
Hoping they’ll make you a bento lunch with sachertorte for desert… mmm sachertorte. It's really quite a tragic state of affairs when you know they'll always be those who will look at you with scorn when you're trying to cope with problems in your own way. I'm not one of those people! I've just come out of my latest bipolar deep blue funk (sounds much more poetic than "down cycle"! ), the first substantial one since my mum died last year. A lot of problems which had been building up since that happened seemed to reach a climax last week, and my brain just went into standby mode. As anyone who has this damning condition knows, there's really no way to describe it other than to use a string of inadequate words: pain, anger, depression, helplessness… it's not good whatever it is. 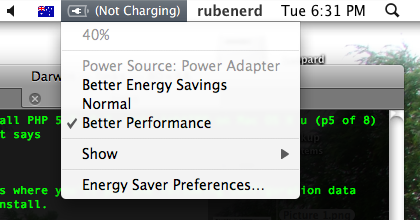 Seems it wasn't just my MacBook Pro that was having trouble charging this week! Newer post ← Should Wikipedia be a time capsule? Older post → Glad legal systems don’t work like this!